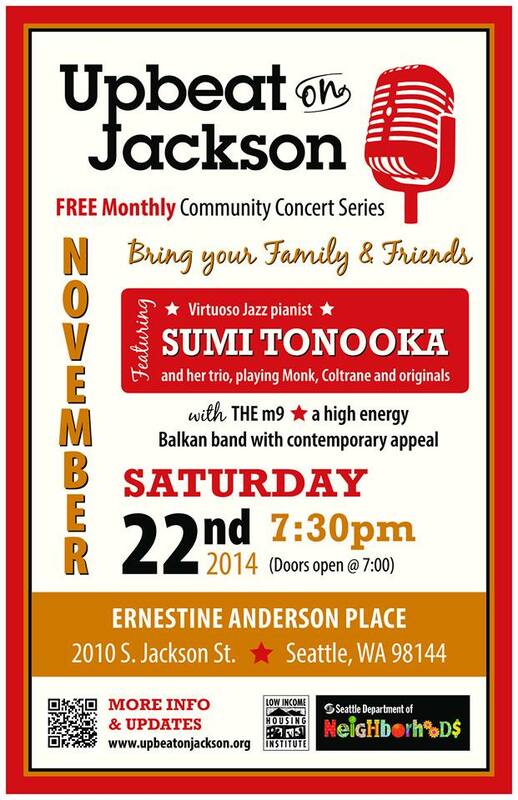 Come see us at Ernestine Anderson Place with Sumi Tonooka and her jazz trio as part of the FREE monthly concert series, Upbeat on Jackson. We’ll open the show at 7:30! And we’ll have a surprise guest towards the end of our set.